The weather is below freezing, and the snow is still on the ground outside, so naturally, all I want to do is stay inside and eat warm comfort food. For me, hot cocoa is always a go to and so is any kind of soup! I usually stick to the traditional grilled cheese and tomato soup combo but recently I’ve been switching it up and trying new things. 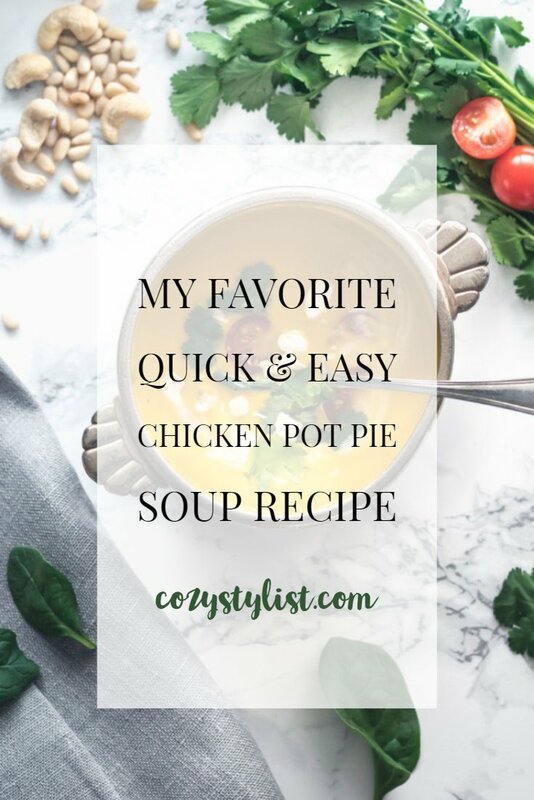 One day when I was on Pinterest looking up soup recipes, I came across chicken pot pie soup! 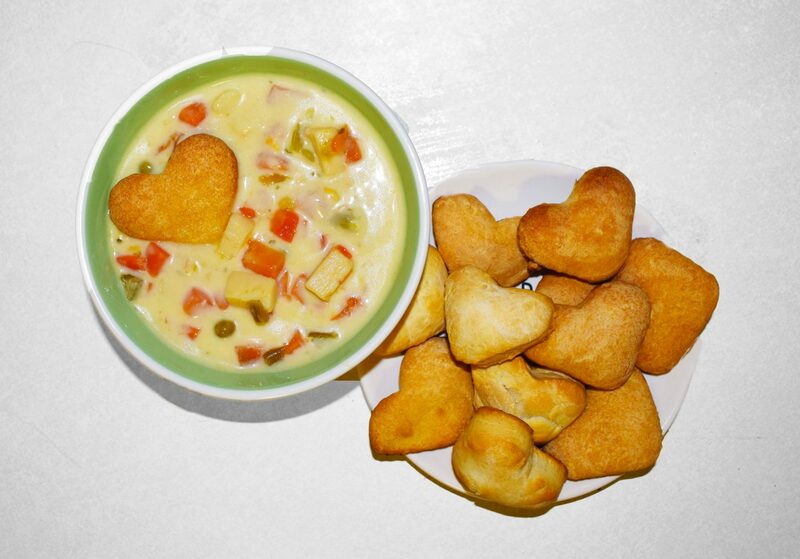 I love chicken pot pie in a casserole form so I should love the soup form of it! I’ve recently found a recipe online for Chicken Pot Pie Soup from All Recipes and decided to make it! It’s only 5 ingredients and takes about 20 minutes to make from start to finish. I did add some Pillsbury biscuits to the top of the soup to act as the crust to the “pie”. 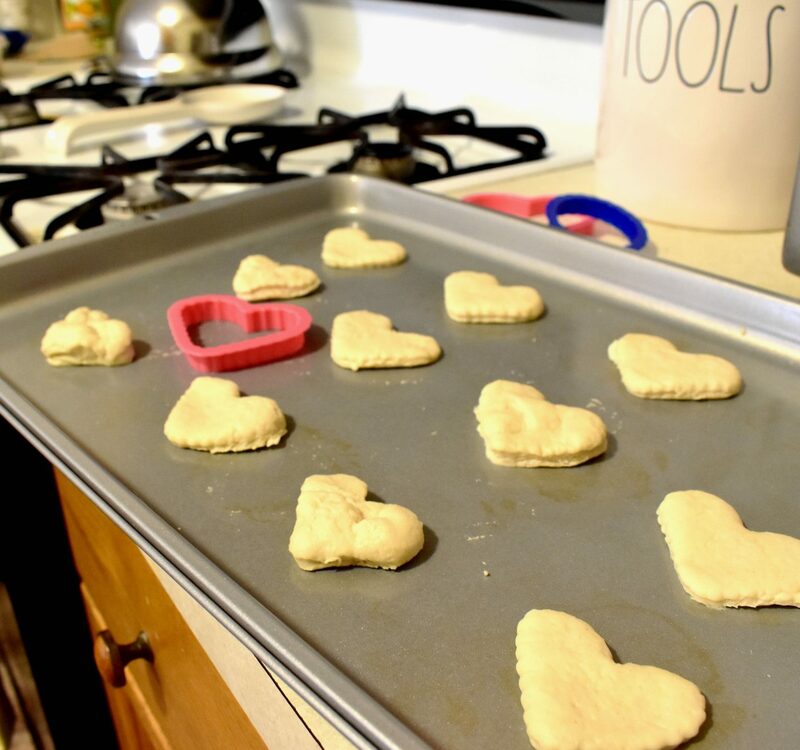 The biscuits were just from the grocery store that you roll out the dough, cut into whatever shape you want and stick them in the oven for 10 minutes. I used a frozen pack of veggies because it’s easier than buying them all separate and then having them waste away in the fridge. If you want to use your own vegetables, cut up 1 potato, 2 individual stocks of celery, 1 large carrot, and a can of peas. • Heat up a pan, add in one Tbsp of olive oil. If you tried this recipe, share a picture in the comments! I would love to know how you all like it!